Available to all passengers and launched in mid-June this year, the airline has been rolling out LIVE TV on its Airbus A350-900 aircraft operating to and from Chiang Mai, Singapore, Seoul, Tokyo, Osaka, Beijing, Shanghai, Rome, Milan, Melbourne and Brussels and on eight Boeing 787-8 and 787-9 aircraft that service flights to and from Tokyo, Taipei, Dubai, Vienna, Brisbane, Auckland, and Manila before progressively rolling out over other services. The technology, provided by Panasonic Avionics Company, provides in-flight connectivity via satellite transmission from the ground allowing the airline to broadcast streaming television programs on its aircraft. We recently hopped on board a flight from Melbourne to Bangkok and took a peek at the service, streaming four live channels including three news services: CNN, BBC, NHK and Sport 24. Quick to load and smooth to stream, all four channels aired without a hiccup. Thai Airways International acting president Mrs. Usanee Sangsingkeo said that the digital era helps viewers to keep abreast of the latest news through various online media. 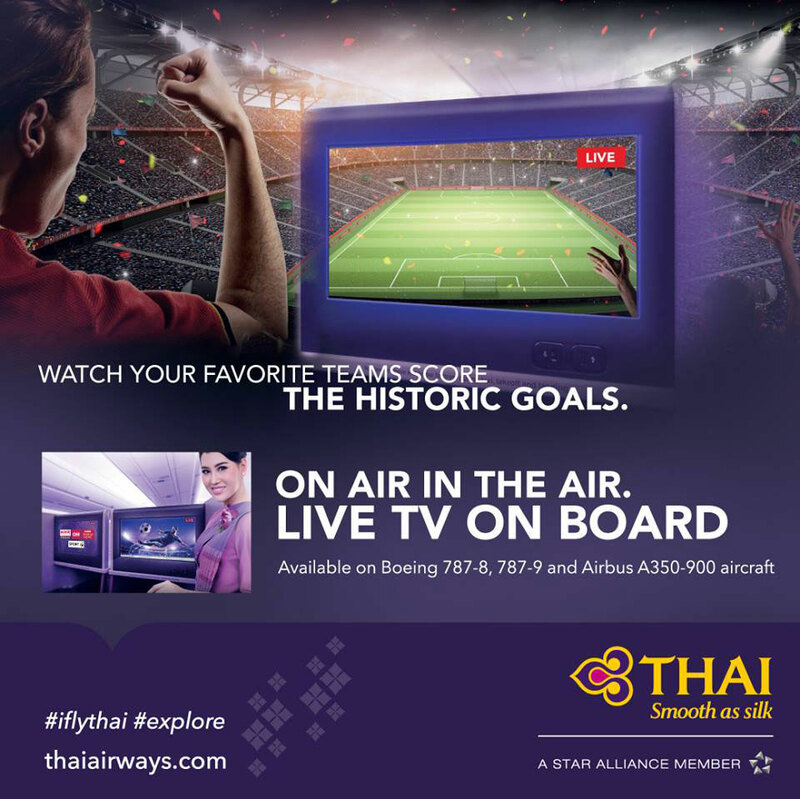 THAI is fully aware that passengers need to keep informed on the latest news while travelling on board and has launched a new “LIVE TV on Board” service that enables passengers to watch broadcast television programs, such as news channels and sports competitions. The service rolled out just in time to allow passengers in both Economy and Business class to enjoy live events such as the 2018 FIFA World Cup and Wimbledon in the air, for free. Thus far, it’s received positive reviews and feedback from passengers. Could in-flight Netflix be the next passenger offering for in-flight entertainment?